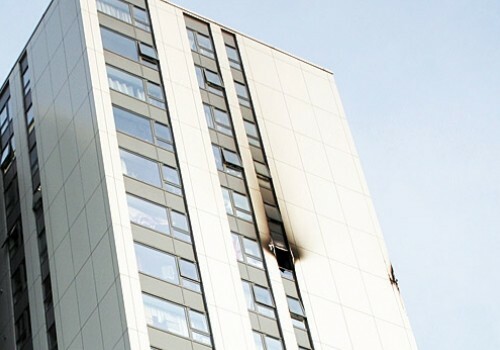 The announcement came after Sajid Javid, UK Communities Secretary, revealed that ALL of the buildings that had so far submitted cladding samples have failed combustibility tests. The fact that all the samples submitted to the BRE via the DCLG failed is a very sad indictement on all parties involved in designing, constructing, supplying and signing off buildings in the UK. 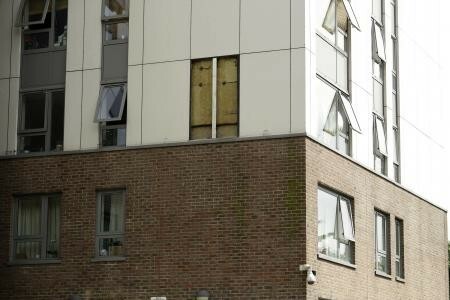 Is the Chalcots Estate Evacuation Needed? The Chalcots Estate is a council housing estate on Adelaide Road in Swiss Cottage in the London Borough of Camden. Chalcots was refurbished in 2006-09 by the same firm, Rydon, that oversaw work at Grenfell Tower in 2015-16. It appears that Reynobond ACM panels were also used. 4mm thck ACM panels are noted on the Harley Facades website page on this work (link further down this post). Their website does not appear to state what filled the panels, this is of crucial importance. Omnis supplied Harley with the cladding panels, just like at Grenfell Tower. The Estate comprises five high-rise tower blocks with a total of 711 or 717 flats, in four identical 23-storey towers and one smaller 19-storey block. The blocks were built in two stages, with approvals being given in 1965 and 1966, and construction in 1967 and 1968. 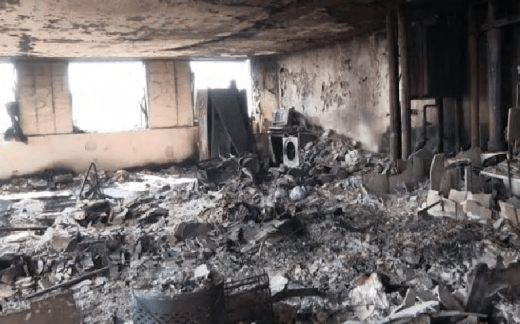 The fire in the 17th-floor flat led to the evacuation of more than 100 residents: it was started by a candle in a flat where it is believed the tenant had no electricity. Taplow was given a multi-million-pound council refurbishment in 2010 through a Private Finance Initiative. 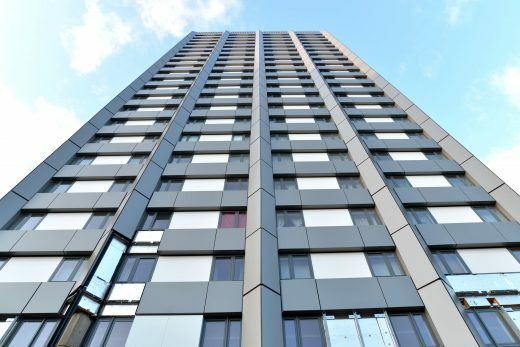 On 22 June 2017, following the Grenfell Tower fire, Camden Council said that it would remove similar outer cladding panels that were added to the five blocks in a 2006 refurbishment by the same firms who renovated Grenfell Tower. 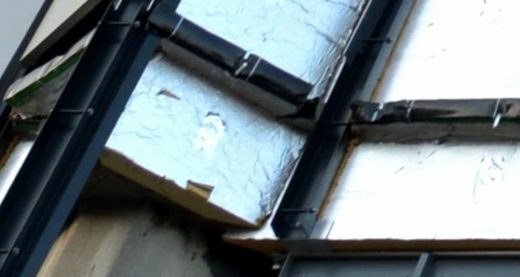 However, Camden Council stated that the insulation used “significantly differs” from that on Grenfell Tower, as it included “fire-resistant Rockwool insulation designed to prevent the spread of fire and fire-resistant sealant between floors, designed to stop a high-intensity flat fire from spreading to neighbouring flats”. 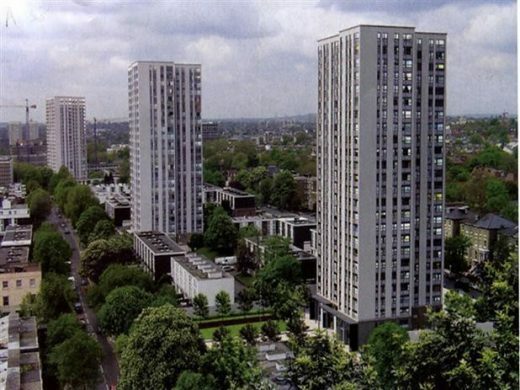 On 23 June, Camden Council stated that 800 homes in the five tower blocks were being evacuated in order to undertake “urgent fire safety works”. Residents are to moved out for up to four weeks after the inspection by fire brigade. 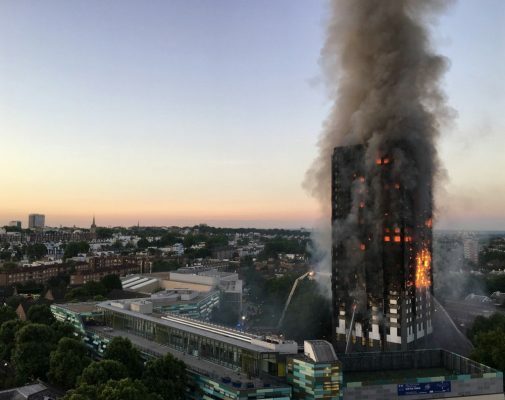 Sajid Javid, the UK Communities Secretary, said that the evacuation was forced not by the cladding alone, but “multiple other fire safety failures” including problems with insulation on gas pipes and missing fire doors. 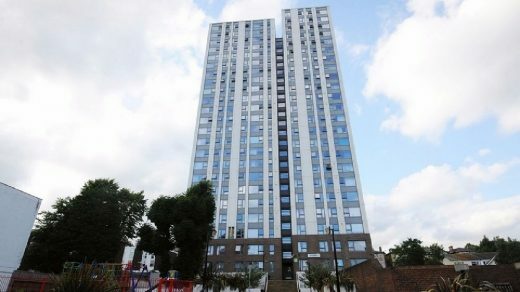 Camden Council had already announced that it would immediately begin preparing to remove cladding from five towers on the estate that was discovered in an inspection ordered after the Grenfell disaster. On Thursday the council said its safety inspection found that while the cladding and insulation were different from that used on Grenfell Tower, the former “did not satisfy our independent laboratory testing or the high standards we set for contractors”. In the early hours of Saturday morning, the council then announced that one of the five – Blashford – did not need to be evacuated, and that residents could return. Blashford is smaller and has “several different design elements”. It shows scorching and smoke damage above window but no significant vertical or lateral spread. Noted that the Camden Fire Test result for a lower panel on a Chalcots Estate Tower has confirmed it is PE. Now this may only be the lower cladding, or it may be, given the previous fire in one of the blocks that the insulation etc fixing method hid the flammabilty of the cladding used. Note the cladding work here was actioned under a PFI contract and Rydon have the Maintenance of the Buildings for a number of years. Architects: Hunt Thompson Architects (the practice split and the main office is now known as HTA Architects). This architecture practice led by Ben Derbyshire has a strong reputation for large-scale housing projects up and down the UK. The architecture studio is headquartered in Camden and was also known for its vegetarian communal dining facility and good office spirit. What specification for the ACM panels was used in Tender documentation? Local councils around Britain are testing similar panels on hundreds of their buildings. Fourteen apartment blocks have so far tested positive for combustible materials at the time of writing, 24th June 2017, clearly this number might rise. All documents appear to omit the insulation specification which Camden Council has thankfully reported as being mineral wool non-combustable type (to be confirmed). Were the horizontal and vertical fire-stops installed correctly at Grenfell Tower?